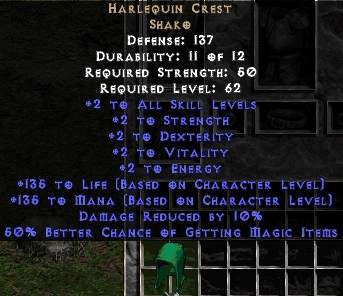 A fan asked a question that’s come up repeatedly in discussions of D3 item hunting. With every character getting their own drops, what’s to to prevent some players from standing in the back row and doing very little, if they’re going to share in the experience and get items anyway? Worse yet, what if those characters have a lot of Magic Find? Would they actually get better items than the characters who are doing all the work? Bashiok replied at some length, though he didn’t actually address the main thrust of the question. From my understanding, everybody gets their own drops. Does this mean that you’ll need to play a part in the killing of a monster in order for an item to drop from it, or will items have a chance of dropping regardless of if you’ve been dealing damage to it? You have one very powerful level 60 character in hell. You have three friends build a character each and they load their character with Magic Find – I mean a LOT of it. Will the three MF characters be able to leech the drops from the powerful level 60? Assume that they’re level 60, as well. I feel like this mechanic would be abused in the game. As I said it’s probably going to be fairly heavily restricted to specific sources and amounts. As an example, completely hypothetical, let’s say that the only magic find available is from placing a diamond gem in a head slot. It’s useful because of the amount it provides, but maybe other gems in a head slot provide things like bonus XP, bonus gold, etc. Then it’s not a choice of power vs. MF and building characters around the system, but a choice between interesting bonuses that will probably change through the career of a character. Anyway, that’s just a thought on how it could work. It’s still under consideration. We like the idea of having some way to improve your chances to find magic items, but not as a driving statistic for characters. It’s also worth pointing out in this case that enemies in Diablo III are more sophisticated. You’ll find them targeting characters in your group they perceive as weaker, keeping distance, and cooperating to try to kill you and your group. So having one person run ahead to face pull everything, let alone be able to solo everything in a multiplayer game, probably isn’t going to work out too well. Bashiok gave us some useful info, but he didn’t answer the guy’s main question, so I’ll restate it. If magic find is calculated from your char’s gear, and all chars get their own drops, then won’t remoras be rewarded even if they’re not killing? Apparently so, from what Bashiok said, or didn’t say. I’ll be disappointed if that’s what the game developers decide to stick with, since this issue has come up in every MF debate since D3’s announcement, and there seems to be a fairly simple solution. Why can’t they make it so that a character’s MF bonus is only factored into their drop if they are responsible for the kill? (How “responsible” is defined is open to debate; last hit, dealt the most damage, dealt over over X% damage, etc) As Bashiok suggests, this could result in some exploits or artificial play behavior, but that’s how things worked in D2 and it was a fairly successful game. Besides, the hypothetical jockeying to be sure characters deal enough damage to qualify their MF is surely better than a system that incentivizes players to max out their MF and then not worry about doing any real damage to the monsters, since they’ll get their own drops, plus MF, and won’t even have to go ninja-mode to snap them up. That issue aside, we know several (planned) reasons why MF will be different (less rewarding/exploitable) in D3. Higher difficulty. As Bashiok pointed out in this thread, multiplayer D3 will require everyone to work together. Leeches and spectators will not be welcome in your party. Spell damage. In D3, spell damage is calculated much like weapon damage; spells have a low base damage, which is modified by skills, traits, stats, and item bonuses. Thus a Wizard or Witch Doctor who goes all MF will be a very weak character. I was a big fan of MF in D2, and look forward to it in D3. It’s a fairly controversial game feature in D3 game discussions, but that seems to be due to the flaws in the mod’s implementation in D2, rather than by the mod itself. In D2 MF was admittedly overpowered and unbalanced, because it was too easy to obtain, it didn’t force any important equipment trade offs, and it unfairly benefited ranged attackers and magic users, since they didn’t really *need* to add resistance, defense, hit points, or damage from their equipment mods, while melee fighters did. Since those problems seem to have been (mostly) addressed in D3… what’s the problem? Update: Bashiok added a few more minor replies to the thread, click through to read them all. So there may or may not be a slot/gem combo that only does weird non-power related bonuses? Like, it can never have attack, precision, defense, etc, only MF, gold find, XP bonus? Bashiok: We could potentially break gems out to more than just armor/weapon/shield, yeah. What about gem finding or rune finding? Bashiok: It’s been talked about (internally) a fair amount. We’ll see. Bashiok, could you perhaps explain the reasons of why you guys went with per player MF instead of a party average? Bashiok: Hrm, no. I mean, it makes sense to me, I never thought to ask. Do you take issue with it? SC2: CE was poor and not money worth compared to my Witcher CE. There was too much marketing propaganda trash like wow pet or comic nr 0. 2GB pendrive was too small for today standard and artbook wasn’t that great when you can see this pictures over internet.